Regardless of your take on manual transmissions, you can’t deny the added layer of involvement they provide to the driving experience. This is why it’s sad that modern supercar makers have all but ruled out the usage of such old-school transmissions for the sake of both costs and performance. Lamborghini is one of them although they were close to offering one on some special edition Huracan and Aventador models. You and I both know that a robotized automatic transmission with one or multiple clutches is quicker at shifting through gears than any biped creature we commonly refer to as a human. In spite of this, you and I both would like to be able to do things our way, at our own pace. 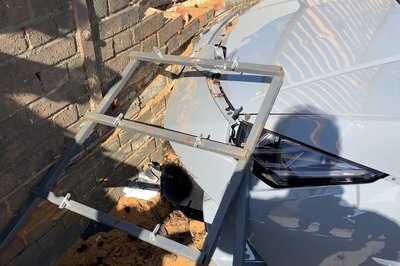 Of course, that’s what flappy paddle gearboxes are for, but there’s nothing quite like the added difficulty of a third pedal and a stick between the seats. Lamborghini has been telling us for years that the manual is dead – at least as far as it’s concerned – but the Italians prove they are genuine petrolheads because, in the meantime, they did at least look into it to make sure once again that the initial assessment was right. Props to Sant’Agata for that! 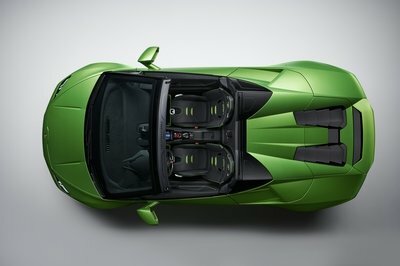 Lamborghini has revealed the soft top version of last year’s Huracan Evo coupe, the 2019 Huracan Evo Spyder. It is exactly the same car, but with the extra weight of its folding roof, its acceleration is slightly affected – but what you gain on the other hand is limitless headroom and a better earful of its glorious naturally aspirated V-10 engine. If Lamborghini didn’t stray from its traditional naming strategy, the Lamborghini Huracan Evo would technically carry the name Huracan Evo LP610-4. But, Lamborghini decided to drop the Huracan Evo’s alphanumeric name, in part because the automaker wanted to make it easier for its consumers to understand the model’s identity. Purists may cringe at the thought of not seeing the LP610-4 designation on the Huracan Evo, but from Lamborghini’s perspective, it’s easier to sell the Huracan Evo without the alphanumeric designation that a lot of consumers find confusing. 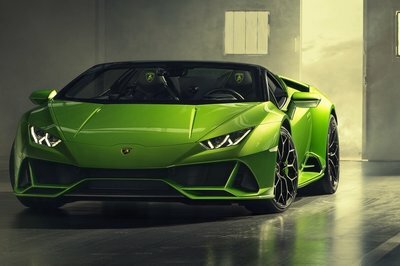 Lamborghini refused to say if it’s going to stick with this new naming strategy, but while it is easier to market the Huracan Evo without the LP610-4 in the name, it’s still going to take some getting used to, especially from those who have developed an affinity for Lamborghini’s alphanumeric names. The Lamborghini Huracan EVO may represent the Huracan’s mid-cycle refresh, but it really makes the gap between entry-level and performante a little bit smaller. It has the more aggressive look in the front and rear, and it’s even quicker than ever before. Outside of being a little more aerodynamic, the Huracan now delivers 631 horsepower and 443 pound-feet from its 5.2-liter V-10 – enough for a 3.9-seconds sprint to 62 mph a 9.0-second sprint to 124 mph, and the same top speed of 202 mph. Either way, we’re a little bonkers over the EVO, so we’ve decided to make it our wallpaper of the day. First the teasers, then the reveal, and now this – Lamborghini is making sure our New Year celebrations do not end. The new Huracan, now known as the Huracan Evo, did not just receive cosmetic upgrades; it came with more power and better mechanicals as well. However, if somehow the Huracan Evo did not float your boat, the company made sure you don’t leave disappointed. Lamborghini has put a new configurator on its website, and the choices have left us drooling. 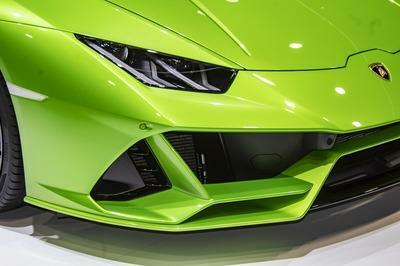 The new Lamborghini Huracan Evo is properly angry. Just look at it. 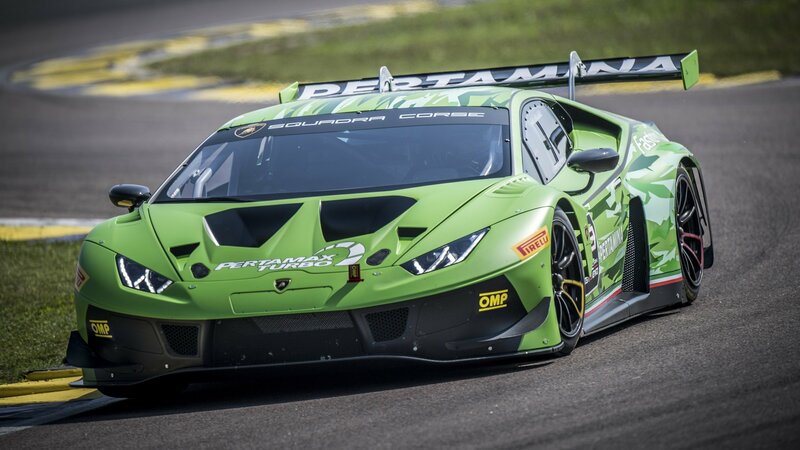 Lambo managed to widen it visually with those cool front aero blades and a razor-sharp splitter. This is a subtle change compared to what we have seen before. A good change at that. On the other side, we can see centrally mounted exhausts and aero parts arrangements that are really similar to what we have seen on Lambo race cars. 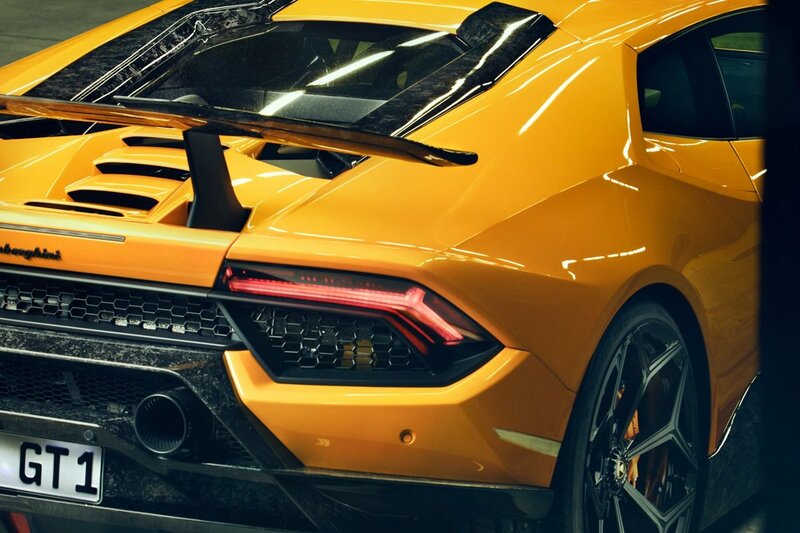 Although the Lamborghini Huracan Evo is basically a facelifted Huracan, the changes Lambo did to it compared to the first Huracan are rather comprehensive. I compiled a list of important facts about the new Lamborghini Huracan Evo that you need to know about. 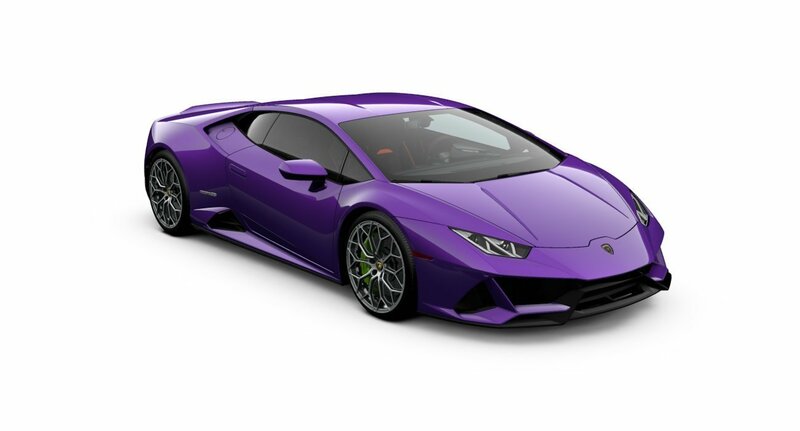 After four successful years on the market, the Lamborghini Huracan was upgraded for the 2019 model year. It’s now called the Huracan EVO and sports a revised exterior design, new technology, and a more powerful engine. Have you ever heard of supercars getting mid-life facelifts? The Lamborghini Huracan is an exception. 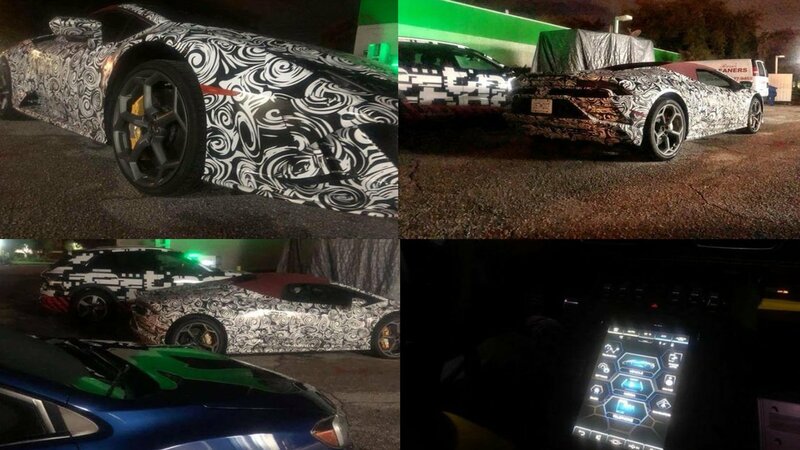 The car has been spied twice with heavy camouflage, clearly indicating that the Huracan is being refreshed for the market. The last update seen on the Huracan range was at the Geneva Motor Show in March this year, when Lamborghini introduced the Spyder Performante, but now it looks like theHuracan Spyder is due for some changes inside and out. Get ready to witness the Huracan’s rebirth! Lamborghini has revealed the most aggressive version of its smallest offering, the $430,000 Huracan GT3 Evo racer, which as its name suggests, is an evolution of the original Huracan GT3. It improves the first GT3 in several ways and is available for purchase both as a standalone model or as an upgrade for any existing Huracan GT3. Winning not only the GT Asia Series Championship in 2016, as well as the Rolex 24 at Daytona and 12 Hours of Sebring, the Huracan GT3, has proven highly successful, and the Evo is further refined and enhanced to bring out its qualities. The main point of focus was enhancing the car’s aerodynamics with the help of the Dallara Engineering. 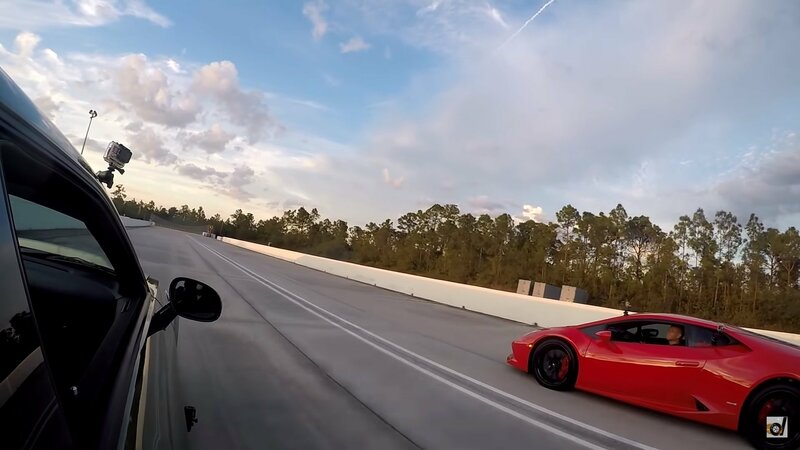 We’ve seen plenty of supercar battles on airstrips before, but this one’s a bit different from the rest. 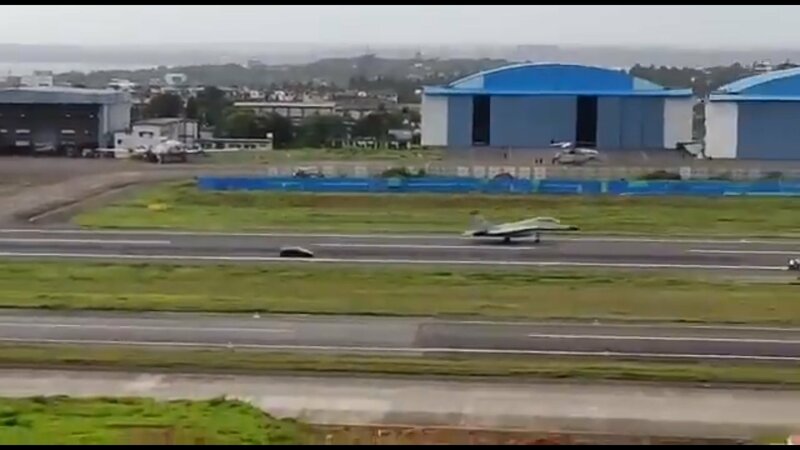 Posted to Twitter by user @Chopsyturvey, it’s an abbreviated 44-second clip that shows a head-to-head acceleration battle between a Lamborghini Huracan Performante and a MIG-29K fighter jet, combining horsepower and firepower into a single brief video. Although it’s just a few years old, ARES Design is already creating a bit of a name for itself. Founded back in 2014 by Dany Bahar, former CEO at Lotus, the firm started out as a customization shop for high-end automobiles. Now, however, ARES Design is looking to break into the world of boutique supercar production, and Project Panther is its first effort to step up to the big leagues. Continue reading to learn more about the ARES Project Panther. Only a few days ago, McLaren revealed that mad 600LT. Just then I wondered what it would be like to see a “baby” McLaren LT go against a “baby” Lamborghini Performante on the other side of the track. But then, Novitec (FYI – a German tuning company) and its Torado division revealed the Huracan Performante Novitec. 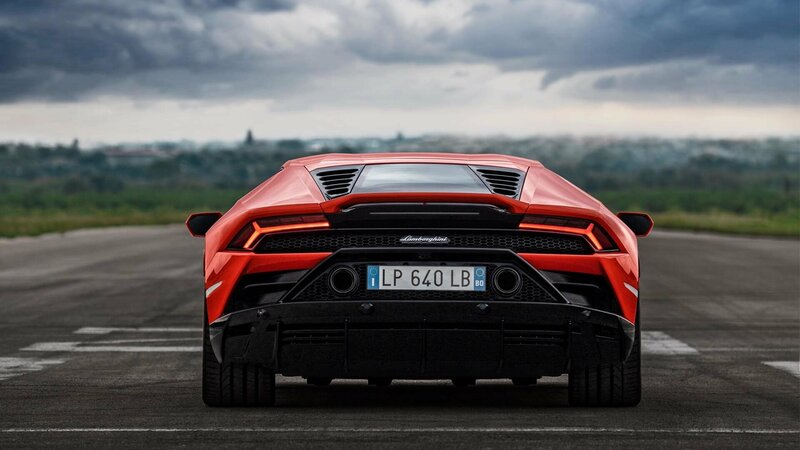 It is like a Performante version of the Performante Lamborghini. Maybe an overkill, but Novitec did it so well, I don’t even care. I need to see the 600LT race against this now. The Dodge Demon and Lamborghini Huracan are two very potent machines from two very different backgrounds. The Demon is U.S. home grown and built on the wet dreams of modern muscle fanboys. The Huracan, on the other hand, is a fine, Italian-bred machine the feeds on just about anything that’s not exotic without fear. 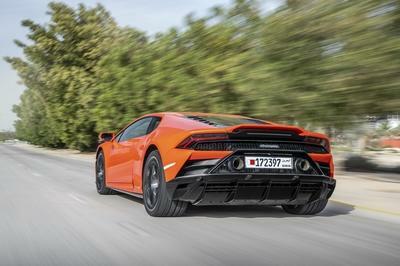 On paper, the Demon should spank the hell out of the Huracan without question – it’s deliver more than 250 ponies more than the Huracan when running on premium fuel. It’s also a purpose-built drag car with the qualifications to hit the road. The Huracan on the other hand is a little more mild and built more for showing off downtown than it is spanking over-tuned rice burners on the track. Be that as it may, Drag Times decided to line these two bad boys up. So how does one of Italy’s finest compete with some American muscle? Well, there are some mixed results and while the Demon does spank the hell out of the Huracan at one point, it all boils down to reaction time and quality of launch – something that allowed the Huracan to win twice. The other thing to keep in mind is that, while the Demon has a published quarter-mile time of 9.65 seconds, its real straight-line performance is dependent on track and weather conditions, among other things. Either way, this video is pretty damn awesome, so go ahead and click play, then check out the links at the bottom of the article if you want to see some awesome pictures and learn more about either of these amazing cars. 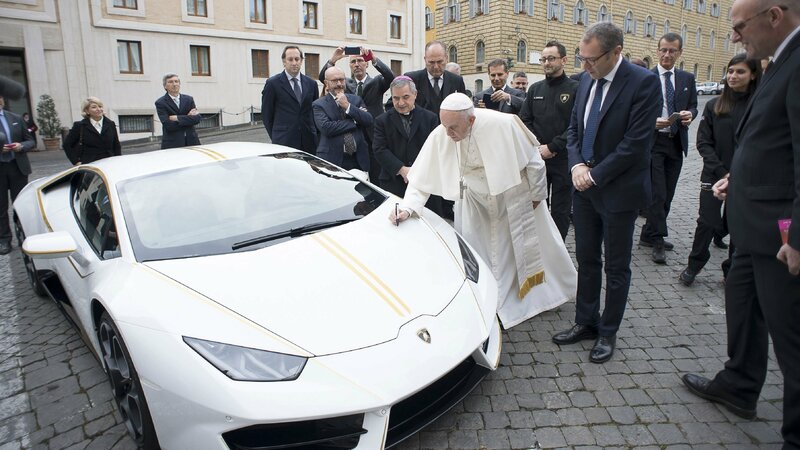 Back in November 2017, Lamborghini decided to gift Pope Francis with his own one-off Lamborghini Huracan. The Pontiff graciously declined the gift, opting instead to donate it in the name of charity. Fast forward months later and the aforementioned one-off Huracan is now set to be auctioned off without a reserve price by RM Sotheby’s in Monaco on May 12.